I was asked to do some smoked pork tenderloins for some close friends' wedding reception a while back and they brought 14 already marinated and seasoned tenderloins. I smoked them, sliced them and put them on slider buns and I have to say that they were a huge hit among everyone who attended. The biggest compliment was that they were extremely tender.. I mean filet mignon tender and very tasty! This, however, got me to thinking that I would like to try these fresh without the commercial marinade or seasoning and see how they turned out if I used my own seasoning and such. Needless to say, just when I thought they could not get any better, I realized that, yes, they can get a whole lot better. This newsletter shows you step by step what I did to these little things of beauty to make them not only taste out of this world but they were so tender you did not need a knife to cut them. 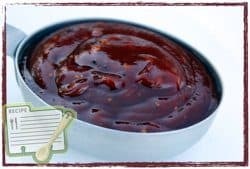 I once again put them on sliders with some “special” sauce that I made using my original barbecue sauce (purchase recipes here) and just one other ingredient. We also made some homemade potato chips in the fryer and coated them with my original rub (purchase recipes here) and they were a perfect fit for this anytime meal. I would like to say that we sat down to a great meal with this but the truth is we did not sit down at all. Everyone was eating the sliders right there at the kitchen bar and grabbing hot, homemade potato chips as fast as they emerged from the fryer and coated with rub. Good times and good food! Note: Do not confuse the tenderloin with the loin.. absolutely not the same cut and it just won't turn out the same. Like a good steak, it does not take a lot to make these really, really good. A little seasoning on the outside is in order and that's all you need. 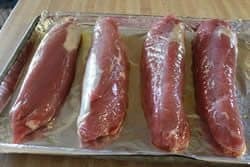 Start out by placing the tenderloins on a cookie sheet with a little room between them. 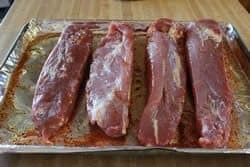 I purchased (2) packages on sale for 3.95/lb and it ended up being 4 pork tenderloins at about 1.5 lbs each. Drizzle olive oil on top of all of the pork loins. 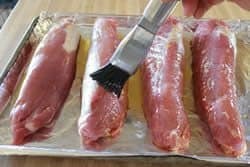 I like to be generous with this but if you wanted to be really saving with the oil, you could simply pour a little olive oil in a small bowl and brush it on the tenderloins to wet the entire surface. The oil helps the rub stick to the meat. Use a brush to make sure the oil is coating all surface areas of the meat. 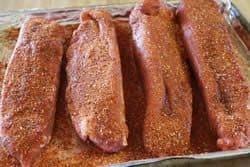 Apply my original rub (purchase recipes here) generously to the top and sides of the pork tenderloins. Roll the tenderloins over to the bottom side. Note: Rolling as opposed to just flipping allows any rub that has fallen by the wayside to stick to the sides of the meat as you roll it. 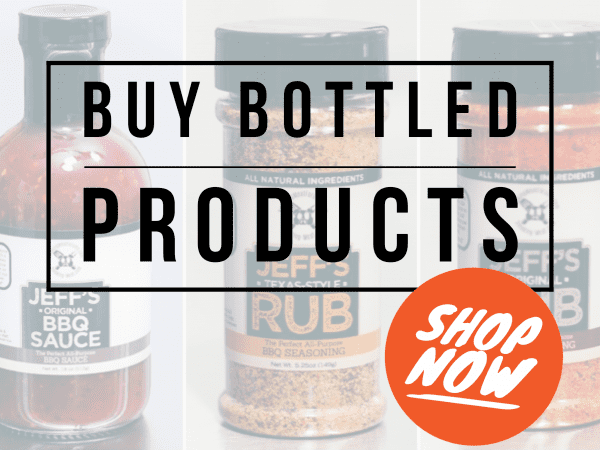 Apply my original rub (purchase recipes here) to the side now facing up. 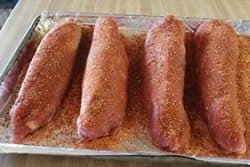 Pork tenderloins are now ready to go on the smoker grate. 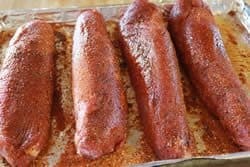 Leave the pork tenderloins for a few minutes while you go make sure the smoker is ready for cooking. I do recommend getting the smoker ready to go before you start the preparation of the pork tenderloins especially in colder weather. 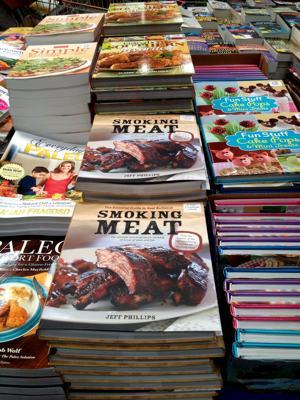 As I say in almost every newsletter here lately.. all of my recipes are designed to be used in ANY smoker with no regard to whether it is electric, charcoal, gas or wood. 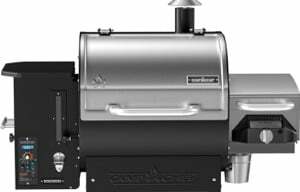 I have written some helpful information on the operation and getting the most out of several popular smokers below however, there is no substitute for experience. 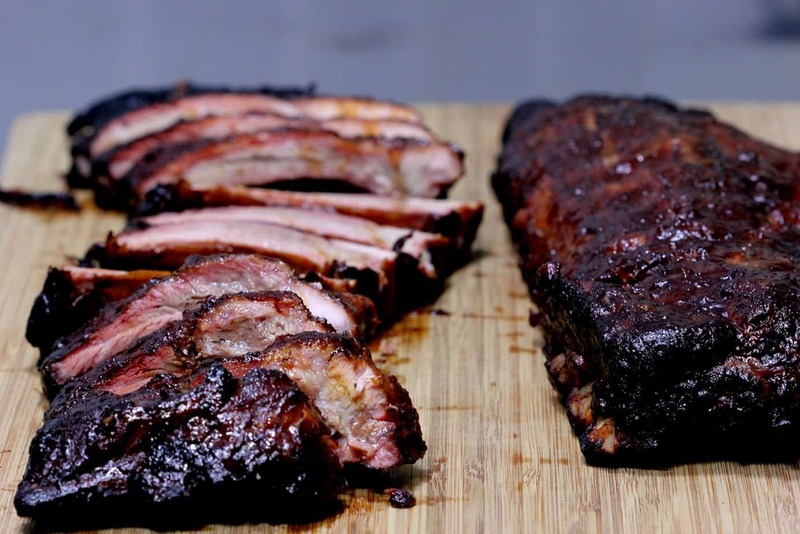 Like anything else, you will find that the more you use your smoker, the better you will get at controlling the temperature and making it work for you in the way that it should. Big Green Egg – Ceramic cooker that uses charcoal. Add lump charcoal, light it and add some wood.. set the top and bottom vent and you're good to go for hours on end due to the thick walls that hold heat incredibly well. More smokers on the way.. 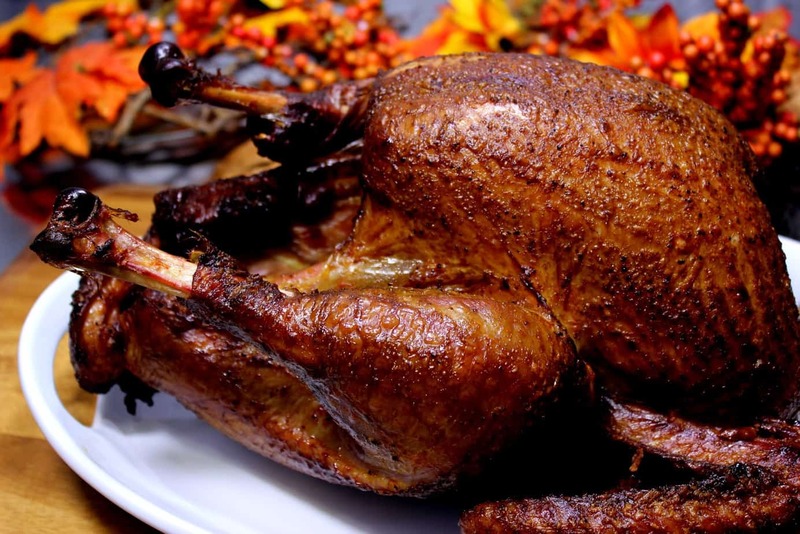 Note: In colder weather, it is advisable to preheat the smoker at least an hour or more before you are wanting to use it. 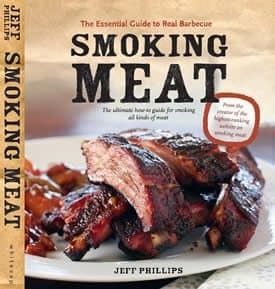 Keep the door closed as much as possible and even skip basting if necessary to maintain proper smoking temperatures. Estimated time: 2 – 2.5 hours at 225-240°F. 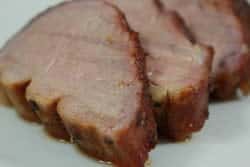 I used my reverse flow wood burning smoker by Meadow Creek for these smoked pork tenderloins but any smoker will do as long as you follow the recommended times and temperatures. I used hickory wood, which is not my all time favorite, but it really worked on these tenderloins to give them that classic hickory smoked flavor that really lets you know that it's there without being obnoxious about it. 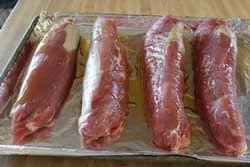 Place the pork tenderloins directly on the grate for best results or you can use some Bradley Racks which I love to use to make transport back and forth from the kitchen a breeze. 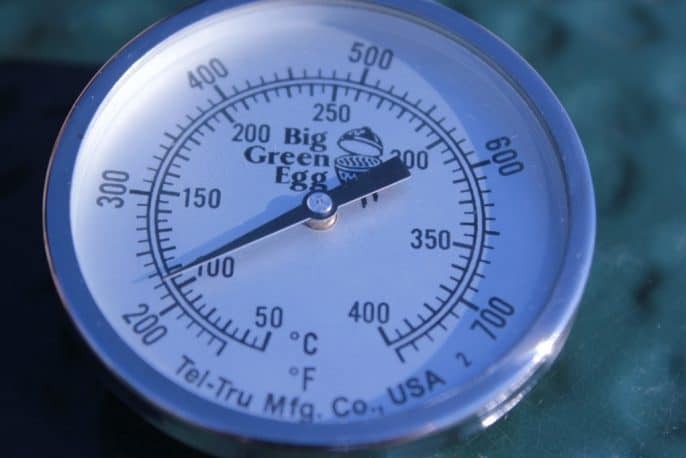 Keep the temperature steady at about 240°F for best results and to keep the rub from getting too dark. 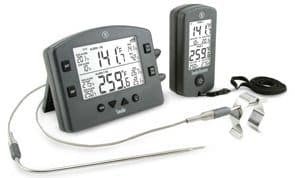 Be sure to use a digital probe meat thermometer inserted into the thickest part of the tenderloin so that the end of the probe sits in the very center. 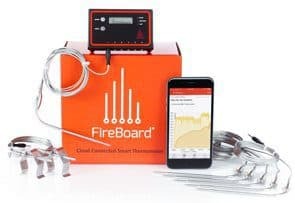 Using a thermometer such as the “Smoke” by Thermoworks will ensure that these get perfectly done at 145°F without going a single degree over. When the pork tenderloins have reached 145°F they are safe and have reached their perfect potential. 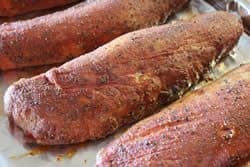 At this temperature they cool off quick once you take them out of the smoker so there is no need, in my opinion, to take them off earlier than 145°F to offset the continuance of the cooking process that sometimes happens when you remove meat from the oven or smoker. 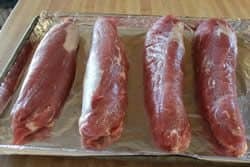 Remove the pork tenderloins from the smoker grate promptly and bring them into the house or onto a nearby cutting board for slicing. Slice into 1/2 inch pieces and you will get about 10-12 good slices per tenderloin. I tend to cut off the first inch or so of the narrow end and save that for a pot of soup or beans since it will tend to be overcooked due to the smaller diameter. Cut slider roll in half. 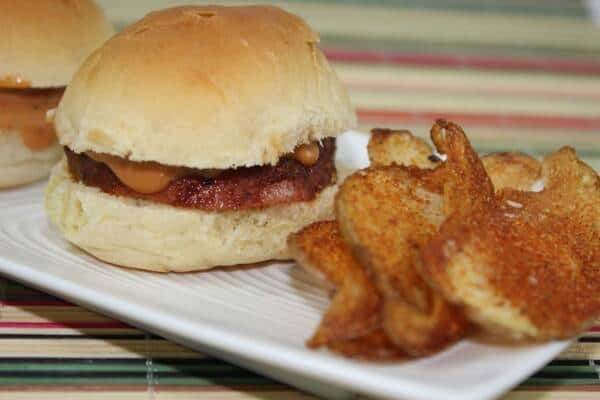 Place a single piece of smoked pork tenderloin onto the bottom half of the roll, drizzle on some slider sauce (recipe below) and top with the other half of the roll. Make as many sliders as you need and serve immediately. If you are making these for a party and want to assemble them ahead of time, let the meat slices cool down first and omit the sauce from the sliders so they won't get soggy. 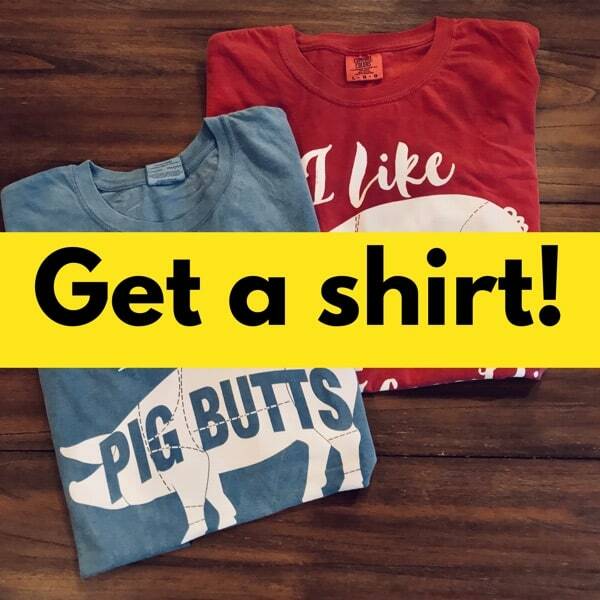 These do extremely well for taking to parties, luncheons, etc. and they do not have to be hot to be tasty. Our local restaurant here makes a special sauce using equal parts of barbecue sauce and mayonnaise. I decided to try this using my own sauce and boy was that a happy surprise! Totally delicious! I have been dipping everything from veggies to chips to cheese sticks in it and it is just that good. I have found that some of the most simple things in life are the best.. Mix until well blended and give it a taste.. I think you'll agree that this is indeed a very special sauce. It goes really well with these sliders as you will see. I will not go into great detail on these but they are very easy and you can make them in a deep fryer or deep skillet heated to about 400°F. Wash the potatoes (leave the peeling on if you like them that way) and slice them as thin as you can. Ours were sliced to about 1/16″ thick. Preheat oil to 400°F and once the oil is ready, carefully drop in a handful of the potatoes. About 4-5 minutes or when they are as brown and crispy as you like them, scoop them out with a slotted spoon or wire basket and lay them on paper towels to drain. 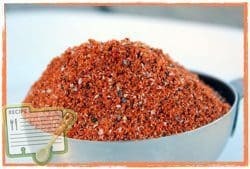 Sprinkle my original rub (purchase recipes here) on them generously to season. Note: My rub is low on salt and if you like the chips more salty, you may need to sprinkle on a little extra salt. This can be served as sliders (as suggested above) or it makes a great main Entree Serve about 3-4 pieces per person with a couple of homestyle sides and a dinner roll. 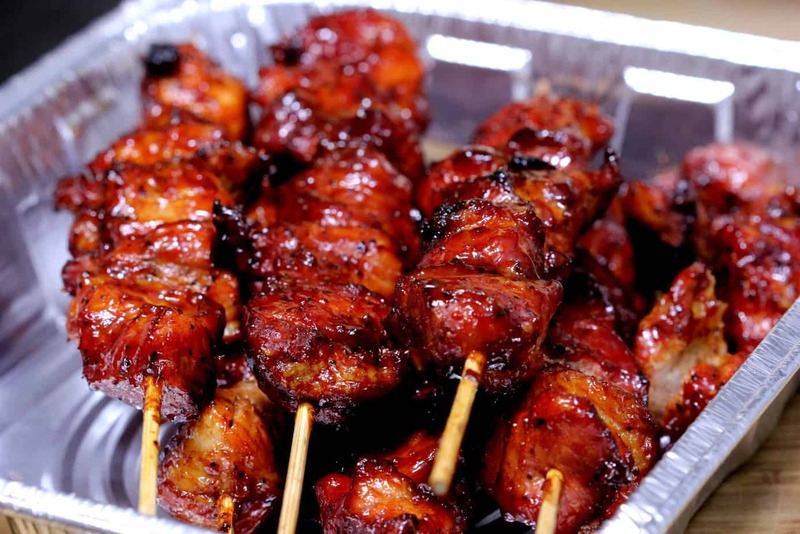 Drizzle the special sauce over the slices of pork. 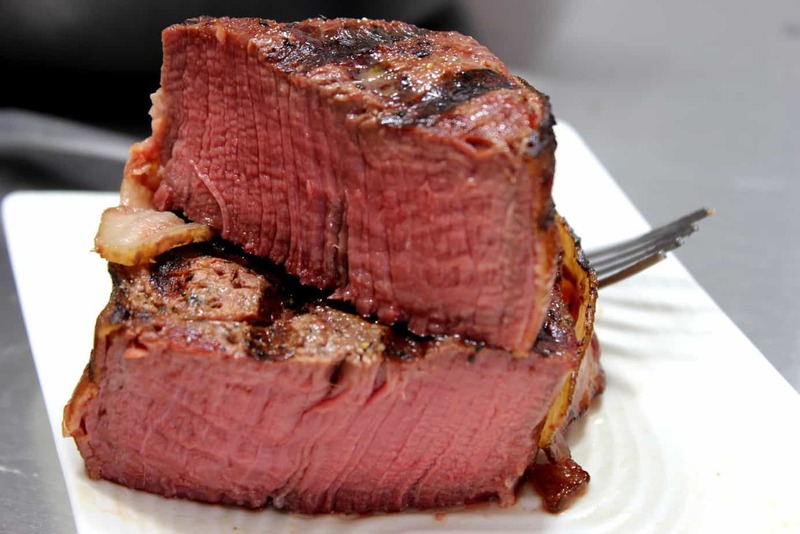 Regardless of how you choose to serve this, you can depend on it being tender, juicy and really delicious. Prepare smoker for cooking at about 240°F. 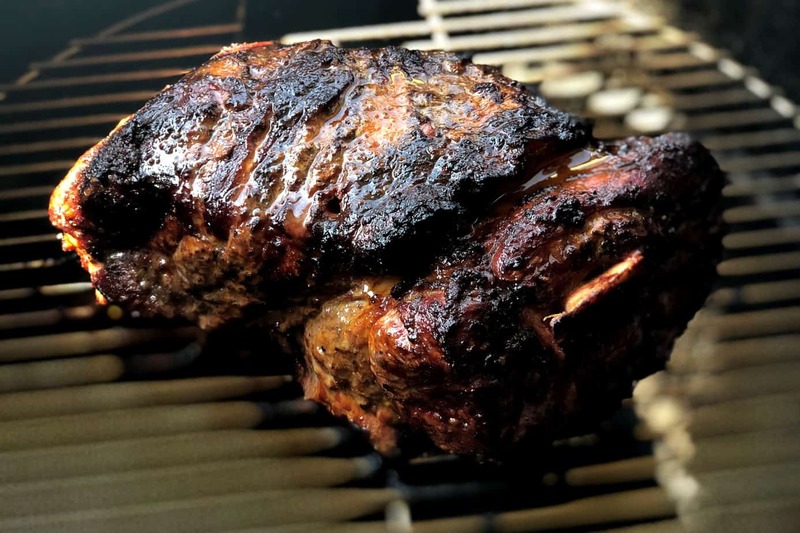 Cook/smoke meat for 2 – 2.5 hours or until it reaches 145°F.